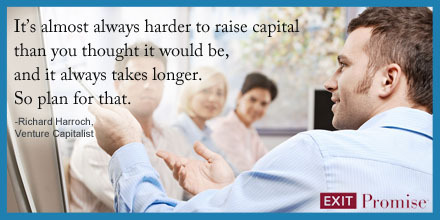 However, a business owner may not have access to the capital needed to execute on a growth strategy. Where does a business owner turn? One option is turning to commercial banks. While the cheapest option, banks often require personal guarantees and collateral available to support the entire loan amount which is often unrealistic during growth periods, when making an acquisition or when financing a business which is not capital intensive. Another option is equity capital. However, new equity is expensive because the company trades a cash investment for shares of the company, resulting in the dilution of the existing owners. “Last-in” capital will often require a premium ownership interest in the company – greater than the pro rata share of the actual dollars invested as well as certain Board control rights. Fortunately, there is a capital market in-between senior debt and equity financing called mezzanine debt. Mezzanine debt is also referred to as subordinated debt or junior capital. Mezzanine investors seek profitable companies with growth opportunities that are not able to obtain all the capital needed from a senior bank. In general, the mezzanine investor targets companies with revenues of $10-100 million and EBITDA of $2-10 million, and seeks to invest between $3-15 million into each company – often thought of as the “lower middle market”. Mezzanine is privately negotiated and customized to the particular need of the business and “fills the gap” on the company’s balance sheet between senior secured debt and equity. This is where mezzanine gets its name. It is in the middle of debt and equity, and is derived from the Italian word mezzano, which means middle. More expensive than senior debt and less expensive and less dilutive than private equity. Senior debt requires principal repayment which decreases the amount of capital available for growth, unlike mezz which is non-amortizing / balloon. Even though equity does not require a current interest cost, it is the most expensive form of capital. This is because the new equity receives its pro-rata portion of the company’s profits in perpetuity. Also, if the company is sold, the new equity gets a large portion of that cash, which dilutes the value of the original owner’s shares. Does not require management control. Mezzanine is “temporary capital” that fills a need. Mezzanine does not seek to be a long-term shareholder, but rather to achieve a target return within a 3-7 year period. Accordingly, Mezz does not require a change of control to exit (unlike equity). However, if the investment matures and the company is not able to refinance and repay the mezzanine note, the mezzanine investor may require a sale to seek repayment of the obligations due. That said, businesses often utilize a mezzanine debt investment to support growth and maximize revenue and EBITDA (and therefore increase equity value) with the ultimate goal of selling and exiting the business within a 3-7 year time period. Flexible terms that reinforce a growth plan. Mezzanine investors typically do not require the business to amortize the debt for 5 years. Because the debt is interest only it allows the company to reinvest cash flows into the business instead of amortizing debt. This is also more tax efficient when compared to equity capital. Mezzanine capital will be subordinated to senior financing and is not as liquid as other forms of traditional debt. As such, mezzanine receives a higher coupon, often 12-14% interest only. On average, mezzanine investors target “all-in” returns of 14-18% depending on the risk of a deal, which is less than the 25-35% targeted by equity investors. As such, depending on the risk/reward profile on the transaction, mezzanine investors often negotiate an equity co-invest or warrant alongside their debt to supplement their return (referred to as an “equity kicker”). 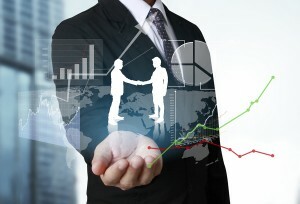 In this situation, the mezzanine investor is likely to offer strategic support to the business. Decide what you are looking for and what are the differentiating factors of the investors. Measure the value you feel each investor brings to your company. In the end you are picking a partner, so choose wisely!